* the franklin sports kids tee up golf set was designed specifically with little athletes in mind. 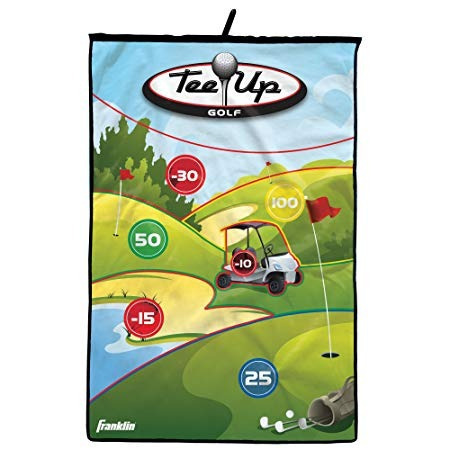 * This tee up golf game is a great addition to any kid’s bedroom, playroom, or even garage! the 36” self-stick target easily hangs on most doors, and the game has one or two player options for maximum playability! 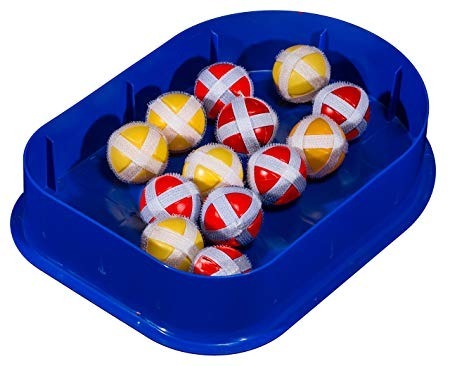 load the balls and pick a color. * Take turns driving the ball into the hanging target. 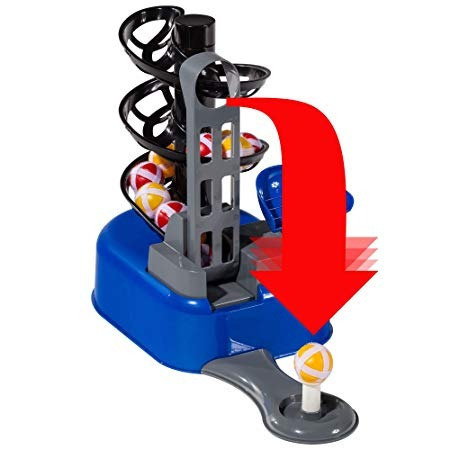 * The player with the highest score wins! 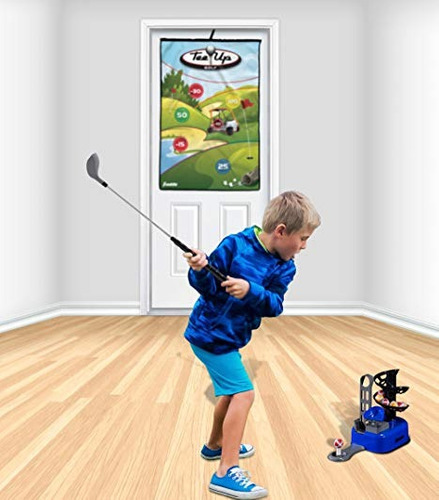 future golf champs can practice their swing with the golf club included, which features 3 adjustable length options for players of all sizes! adjust the golf club to your desired length (20inches, 24inches, or 28inches) and take a swing! the club provides a custom fit for each player, promoting proper swing technique. 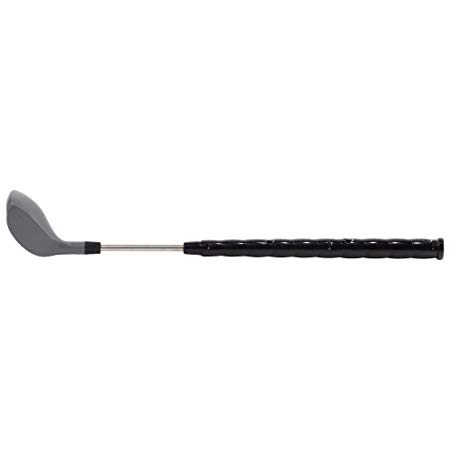 * The set also includes two golf heads so players can switch from driver to iron instantly! 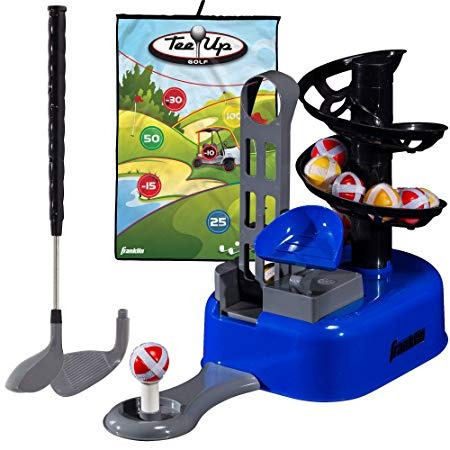 the tee up base automatically sets the ball on the tee, while holding 12 balls at a time for hours of continuous play action! when you’re done playing, open the bottom of the tee up base, where we’ve included built-in storage so that you don’t lose any of your golf balls! take a swing and get this set for your little player to use as they grow and become golf champions! the set comes complete with 1 automatic tee up base, 1 golf club with an iron and driver club head for customized play, 1 36inch self-stick over the door target, and 12 self-stick golf balls. .
* SIN EMBARGO POR LA TEMPORADA NAVIDEÑA PUEDEN AUMENTAR DE 1 A 5 DÍAS HÁBILES MAS.